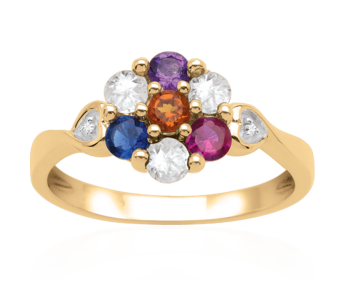 A wide and attractive Mother's ring that has a sense of delicacy with its floral arrangement of petal shaped family birthstones surrounding a central diamond. 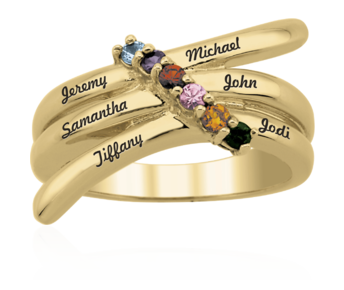 Total diamond weight 0.007ct. 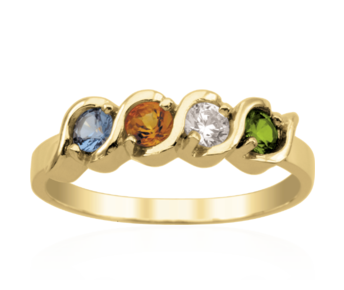 Available with 2 to 6 marquise stones, each measuring 4 x 2 mm. 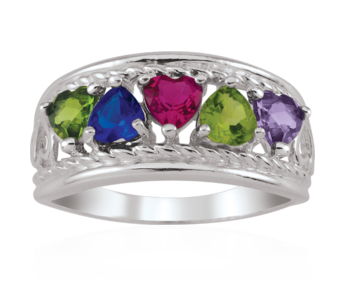 Available in ring sizes 4 to 12. 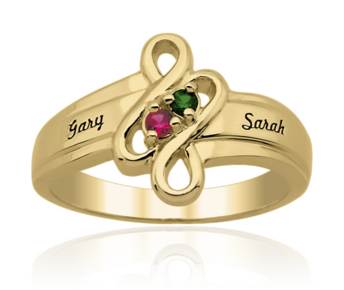 Intricately designed, this Mother's ring features her family birthstones between braids of precious metal accenutated with genuine diamonds. 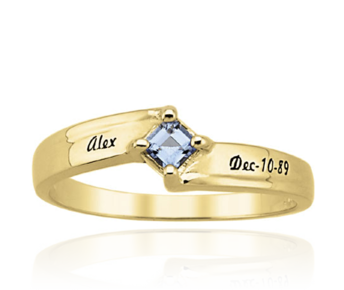 Total diamond weight 0.01ct. 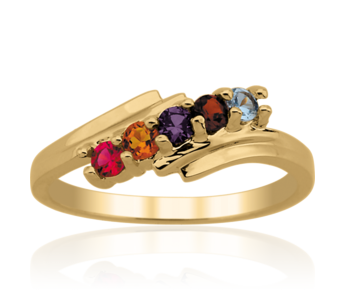 Available with 2 to 4 round stones, each measuring 2.5 mm. 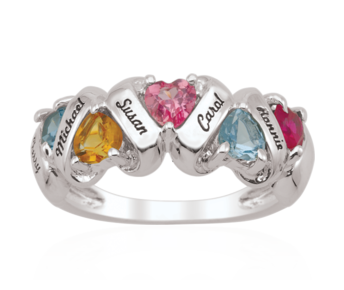 Available in ring sizes 4 to 12. 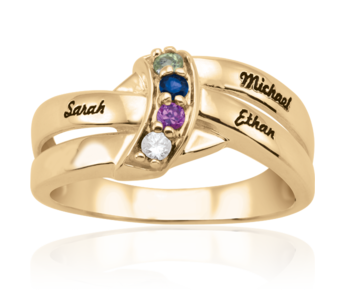 Shower Mum with eternal family Hugs and Kisses in gold and gemstones. 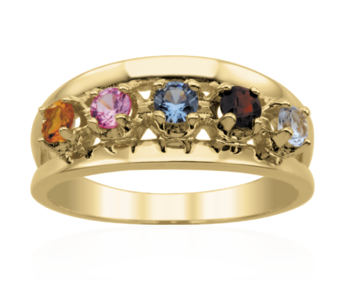 Available with 2 to 6 marquise stones, each measuring 4 x 2 mm. 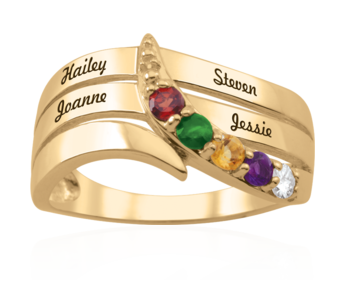 Available in ring sizes 4 to 12. 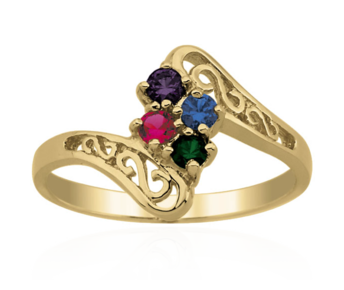 This elegant classic Mother's ring varies in design with the additional of each birthstone. 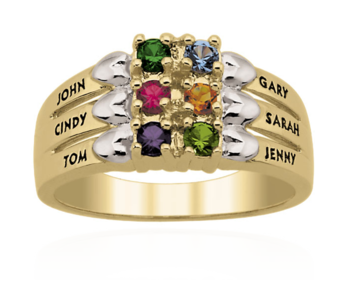 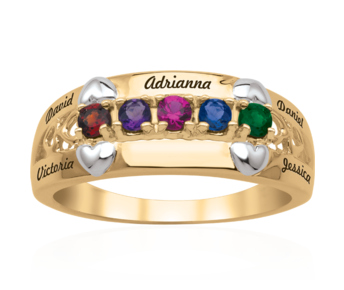 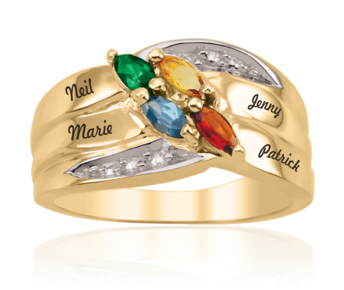 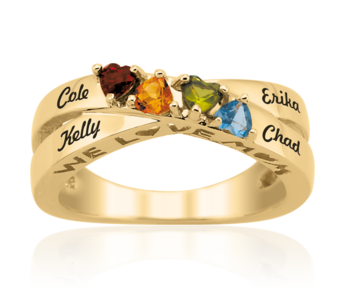 Mother's Ring with birthstones for each family member. 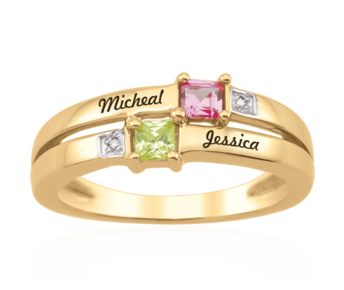 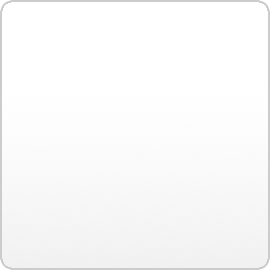 Simple and elegant this fashionable design is extremely popular. 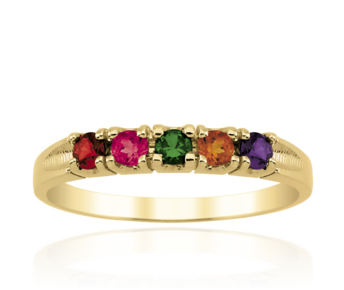 Available with 1 to 5 round stones, each measuring 3 mm. 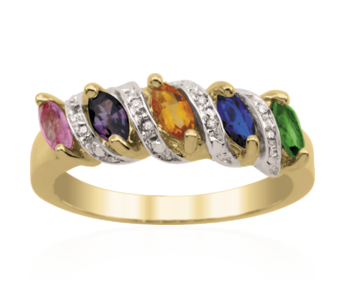 Available in ring sizes 4 to 12. 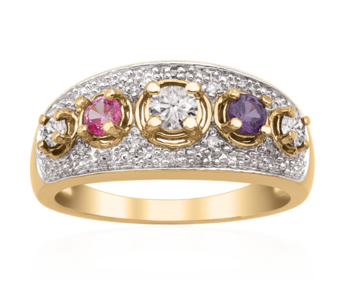 Immensely exquisite, as well as distinctively curved, this beautifully studded ring has all the hallmarks of a magical piece of art. 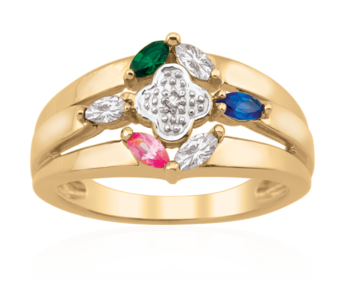 This finely crafted ring is exquisite and whether it is a gift or a self purchase, the wearer will enjoy it for years to come. 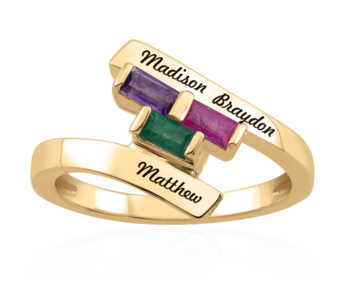 Courageous in its contemporary styling, the unity of gold and banded jewels offers a unique and inspirational gift for someone who invokes a passion for living. 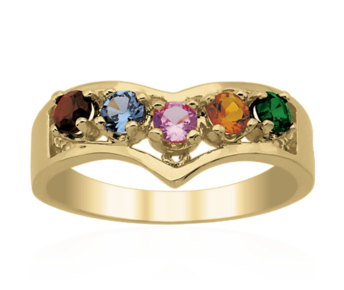 Available with 2 to 4 heart stones, each measuring 3 x 3 mm. 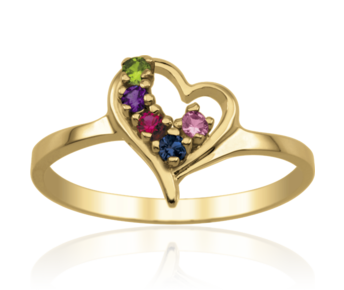 Available in ring sizes 4 to 12. 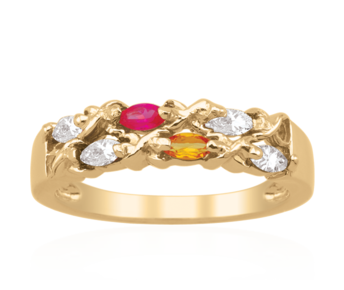 A charming master piece, this combination of gold hearts with gleaming gemstones is an embodiment of style and sophistication. 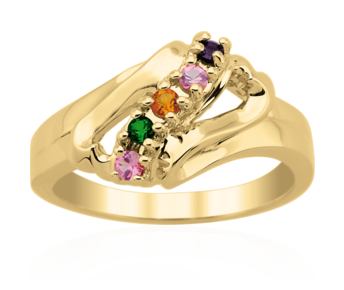 Available with 3 to 6 round stones, each measuring 2.5 mm. 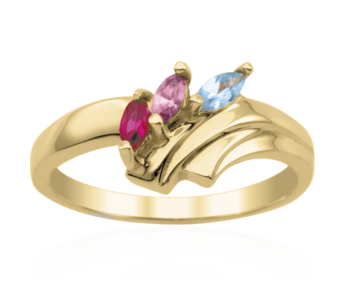 Available in ring sizes 4 to 12. 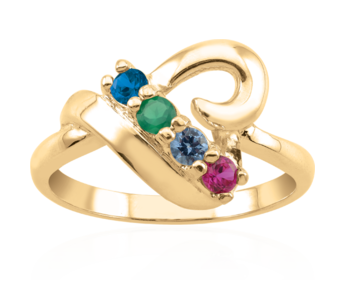 Dramatically shaped infusing the mind with images of immense exquisiteness, this gemstone ring is a truly wonderful gift for anyone that is lucky to receive it. 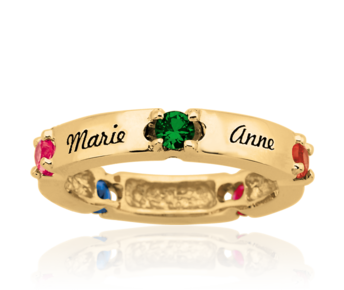 Available with 2 to 6 marquise stones, each measuring 4 x 2 mm. 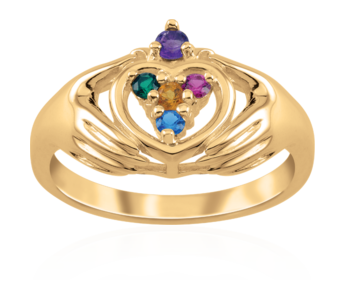 Available in ring sizes 4 to 12. 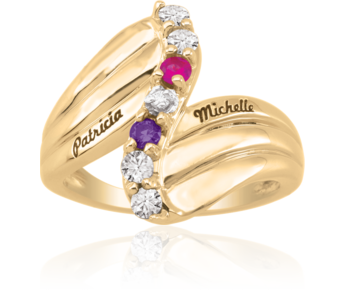 Classic yet sophisticated Mother's Ring that celebrates the family. 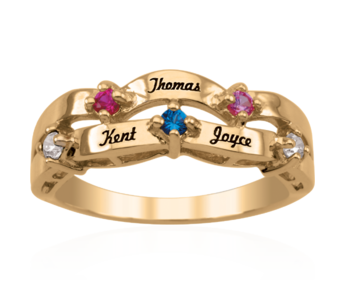 Elegantly engraved ribbons of gold lead to each family member's birthstone, creating a striking heirloom. 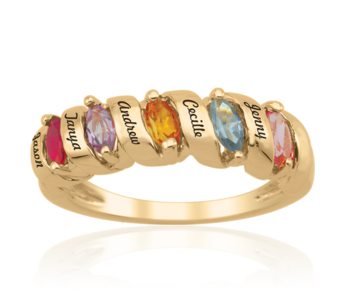 Available with 2 to 6 round stones, each measuring 2.5 mm. 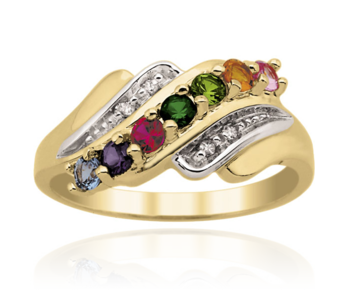 Available in ring sizes 4 to 12. 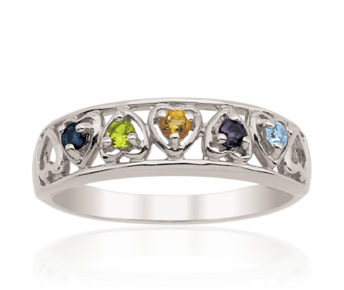 Elegant yet classic. 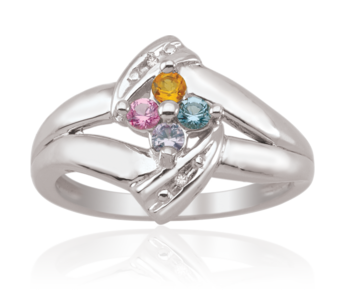 This Mother's ring is the perfect gift to show your love on any occasion.